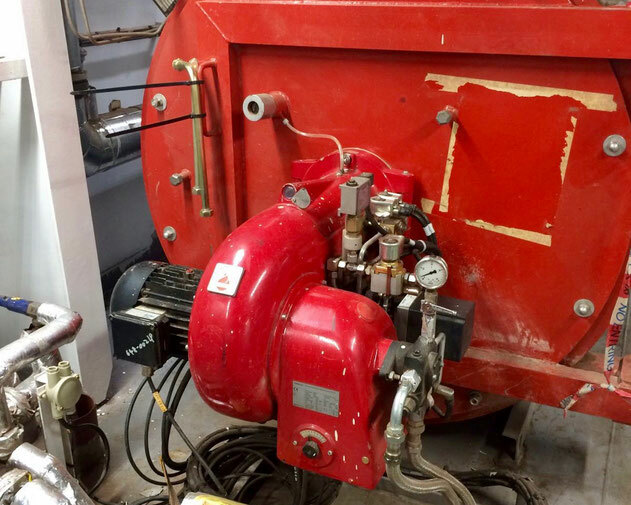 The service engineers have replaced the viscosity controller and the temperature and flow controllers of a high fuel oil heating system. The system was Gekakonus build, with the characteristic red burner motor and the red burner cover. The system was controlled by various switch panels, with outdated electric controllers. The existing controllers were replaced by I.S.S. build electric viscosity, temperature and flow controllers. 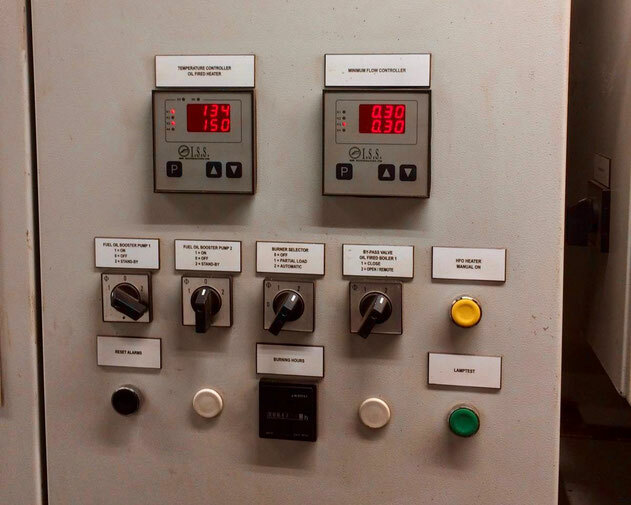 These controllers are made primarily to replace Wiesloch and Aalborg electric controllers, but can also be used to replace other types of controllers. 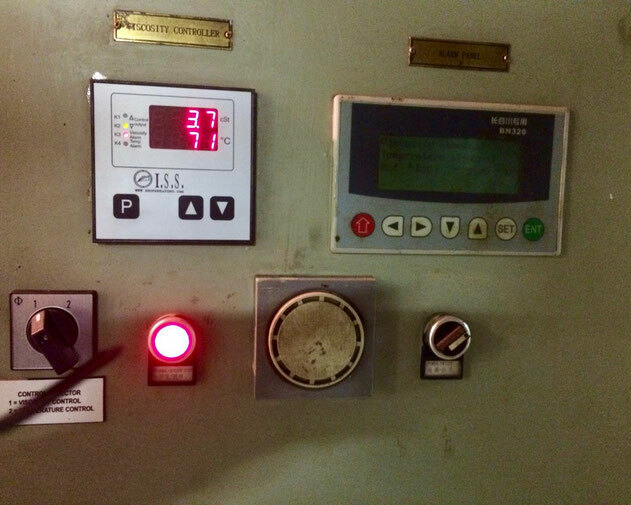 The old viscosity controller in this system was made by VAF Instruments and could be replaced by one of the I.S.S. electric controllers. The Gekakonus burner motor and the burner cover. 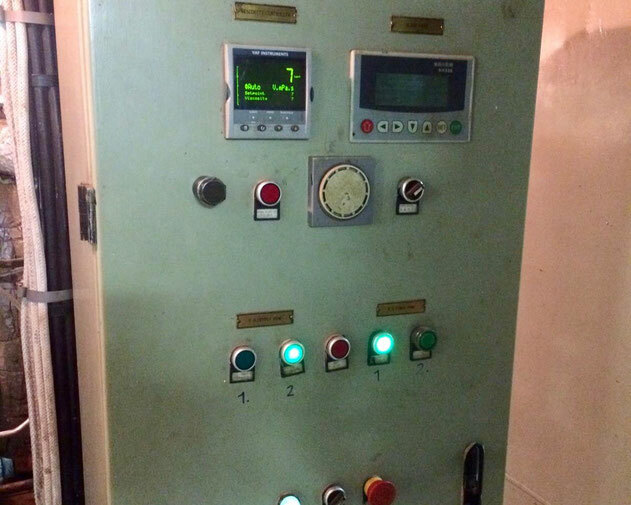 The old switch panel composition with a VAF Instruments electric viscosity controller. The switch panel with the new I.S.S. 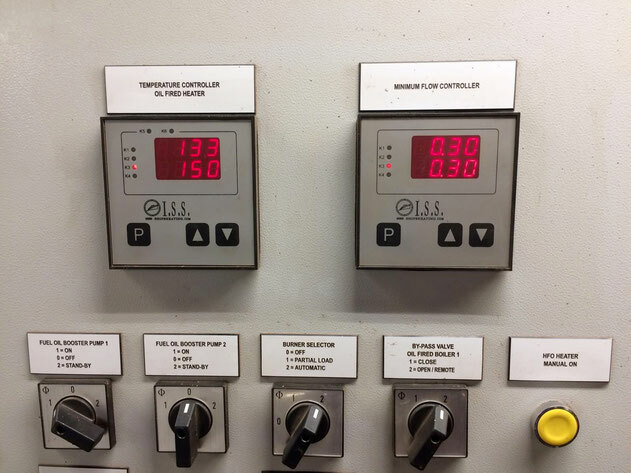 electric temperature and flow controllers. The upgraded switch panel with a new I.S.S. made electric viscosity controller. 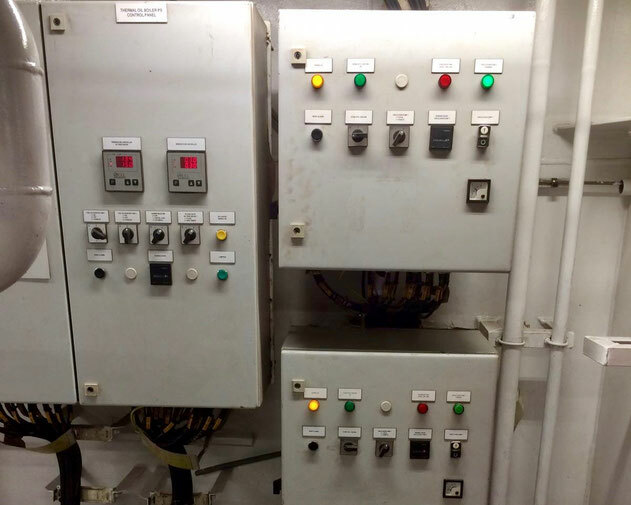 The upgraded switch panel with I.S.S. made temperature and flow controllers. The upgraded set of switch panels.